This entry was posted in Uncategorized on 25/01/2013 by Brickwerks. Often missing as they get pulled off for paintwork, or just wear away. These foam seals go around the door check rods on the A pillar. This entry was posted in New products on 24/01/2013 by Brickwerks. 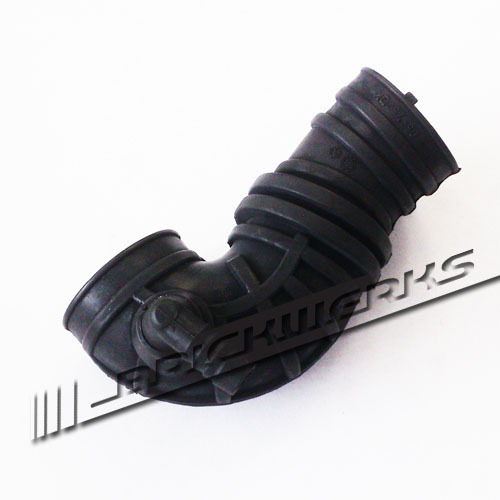 Intake hose for the popular 2E (2.0 "GTI") conversions. 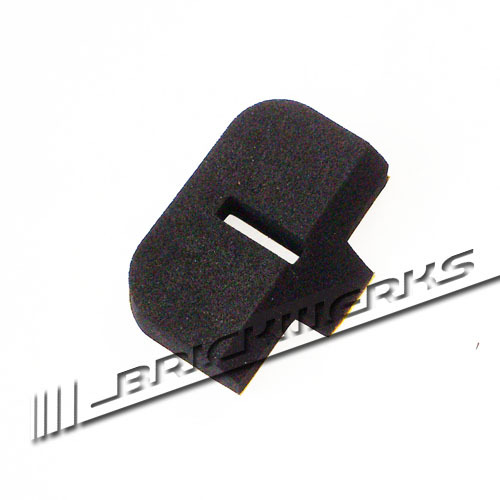 Allows you to site the air flow meter in the rear light void, and has provision to connect the breather. This entry was posted in Uncategorized on 24/01/2013 by Brickwerks. We like the new Spax kit in combination with the Eibach Springs so much, we've put this little kit together. 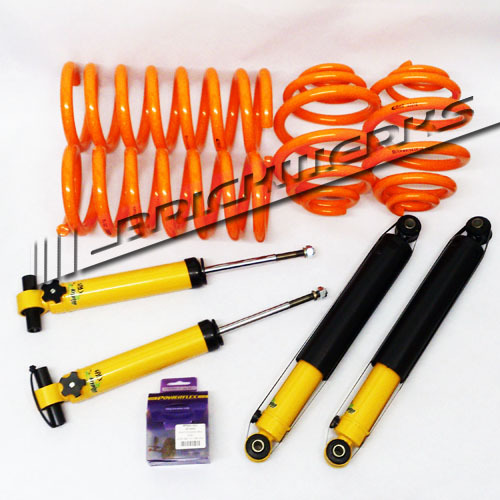 The tried and trusted Brickwerks Eibach Pro-Kit 40mm springs combined with a set of Spax Krypton Gas Adjustable dampers and a set of our most popular Powerflex bushes - the Steering Rack Mounts. Buying the kit results in a saving of around £40... over the seperate parts and will give your T3 a great ride, a sensible drop, and better steering feel. This entry was posted in New products, News on 22/01/2013 by Brickwerks. Now in stock, on the shelf, ready to ship! This entry was posted in Uncategorized on 21/01/2013 by Brickwerks. Despite the snow we are here and we are open. We physically take the Royal Mail orders to the Post Office [in the Iltis] so they will 100% leave today. FedEx are usually quite good so I can't imaging there being any problems there, hopefully service as normal. Workshop open as usual, although Michael had to rescue Angus from the top of the hill he lives on! This entry was posted in News, Tales from the workshop, workshop on 21/01/2013 by Brickwerks. 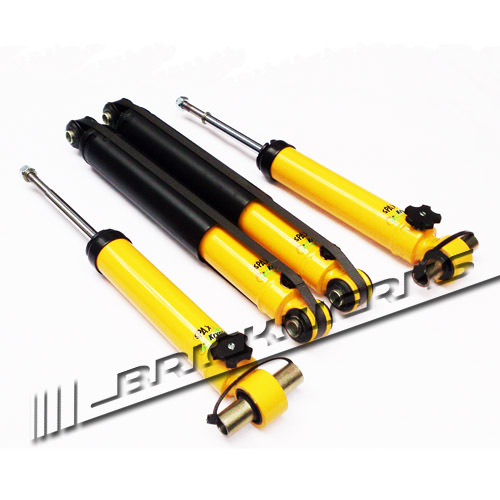 Trailmaster is a well known name amongst 4x4 owners, and we can now supply their dampers and springs for Syncro models. There are 2 kits available, for standard weight vehicles... panel vans, pickups, and lightweight campers... and the HD Kits for heavier vans carrying more weight or with full on camper conversions above 2400kg. Dampers come in a few choices for sportier (road) ride or comfort ride, which is for more serious off road use. 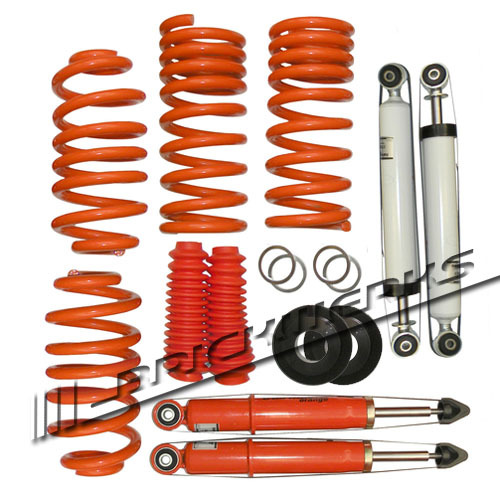 Springs... just one front spring regardless of weight, and a choice of rear springs for lighter and heavier vehicles. 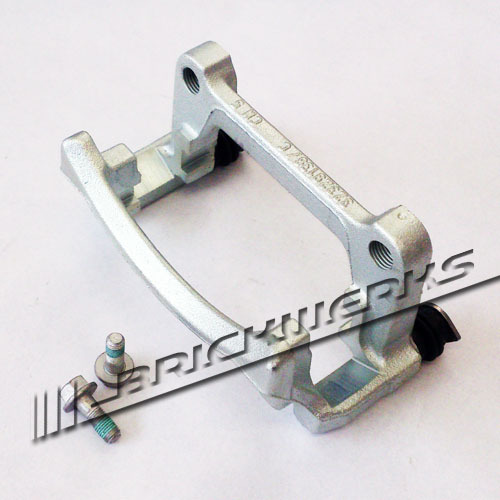 At the moment, these will drop ship from Trailmaster, and all webshop prices include delivery. 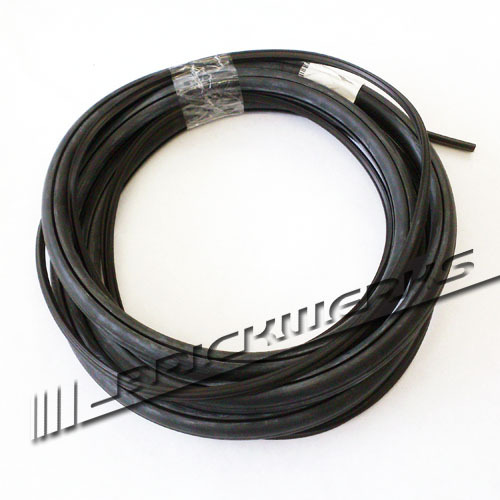 It may be that we choose to hold these in stock in the future for quicker delivery. This entry was posted in New products, News on 18/01/2013 by Brickwerks. Quite simple this one! Years and years of accumulated muck sitting on top of the cooling fits stopping it getting cooled. 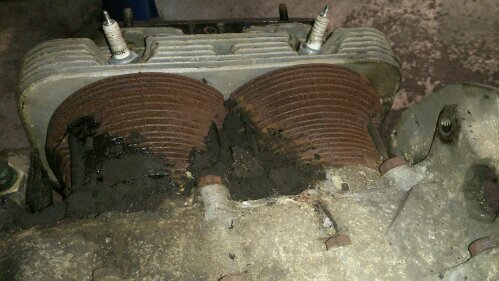 If we were to strip it I'm sure we would see localised areas of wear on the cylinder bore. 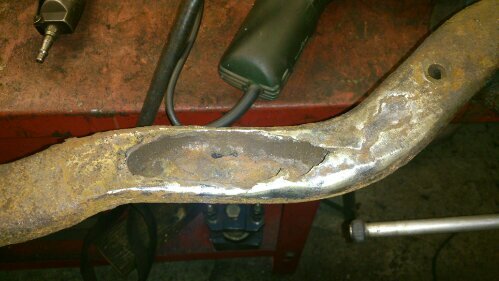 The oil cooler is also in a similar state, ticking time bomb that went off this one! This entry was posted in Tales from the workshop on 16/01/2013 by Brickwerks. Just replacing a 2.0l cooled engine. We saw a scab on the bar so we picked it! Good job we did! Break out the mighty mig Baxter! This entry was posted in Tales from the workshop on 15/01/2013 by Brickwerks.